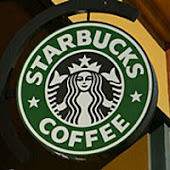 In the summer of 2006, Starbucks introduced the Frappuccino Juice Blend, which is described as being "real fruit juices combined with Tazo Tea, blended with ice." This version seems to be different from the Tazoberry "blended tea" versions of several years ago since it uses more "real juice" and "freshly brewed" ice teas to the drink instead of a bottled, premixed concentrate. Juice Blends were discontinued in 2007/2008, with the Pomegranate the first to go. The Tangerine Juice Blend was discontinued shortly thereafter. The drinks in this category included: Pomegranate (raspberry & blackcurrant in UK & Ireland) - Pomegranate, peach and fruit juices" combined with 'Zen' Iced Tea. Pomegranate Frappuccino Juice Blend has been discontinued in the US. Tangerine (mango passionfruit in UK & Ireland)- Tangerine and fruit juices". combined with Passion Iced Tea. Tangerine Frappuccino Juice Blend has been discontinued in the US. Blended Strawberry Lemonade - A combination of Strawberry Sauce and Lemonade. Lemonade Blended Beverage - Fresh lemonade flavor with real lemon zest, blended with ice. Introduced in the US in the Summer of 2008. The Lemonade Blended Beverage was made with a proprietary Blended Lemonade base, that consisted of real lemon zest and was thicker than the Lemonade that is currently used for Ice Tea Lemonades. This Blended Lemonade Base was discontinued in the Fall of 2008. A Blended Lemonade can still be bought at Starbucks, however it will be made with the "old" Lemonade, and thus be a different taste and consistency.